So, check this out! Super awesome listener and San Diego resident-extraordinaire, Chris Mowry picked this shirt up for me at the World’s biggest Comic Book Convention, San Diego Comic-Con. 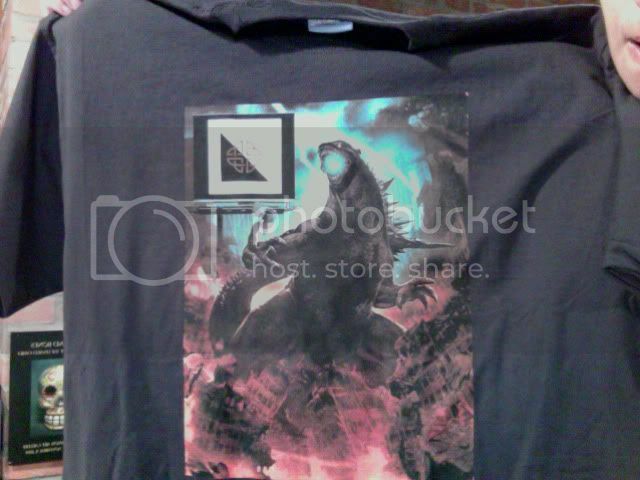 This is a promotional shirt being given out by Legendary Pictures! According to Chris, some kind of effect happens with the atomic ray too. 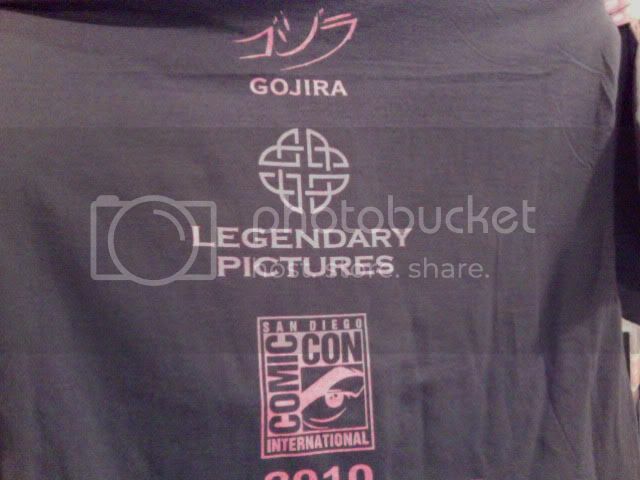 Here’s the back of the shirt in case you’d like to see them using the actual Japanese name, too! Thanks so much, Chris – you rock!